Nov. 23, 2016, 3:05 p.m. Nov. 23, 2016, 3:05 p.m.
Winter is around the corner, and as you tackle the withered leaves in your garden, you might have already experienced the sight of the first layer of frost on the pavement or on your car’s windscreen and bonnet. 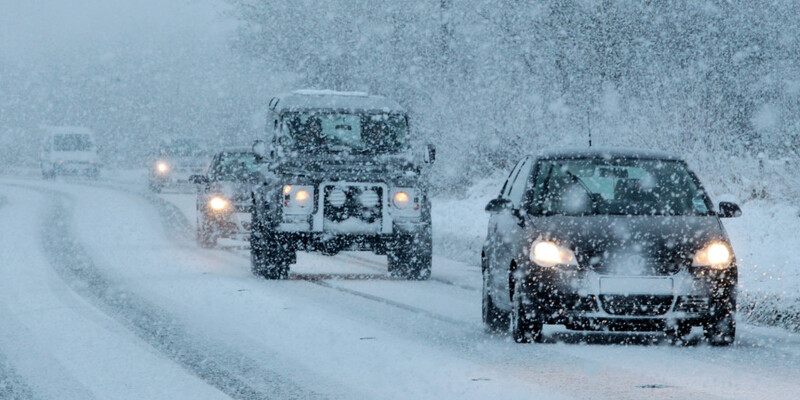 Most motorists agree that driving during winters is a complicated affair. The icy roads, freezing temperatures, salted streets and foggy weather calls for your car to be in excellent driving conditions so that you keep accidental hazards at bay. Therefore, it pays to be prepared. While you gear up to usher the chill, here are a few winter car tips you can check out to keep your car’s smooth rolling during the coming season. Your car battery can become more painful to operate in cold weather than during the summer months. You could consider conducting a volt test on your battery before the onset of winter to ensure that it will remain in a good working condition. If the results are not great, you might want to look into buying a new car battery so that you no longer have to worry about being stranded in the middle of the road on a cold winter evening just because your car won’t start. One of the most important winter car tips is to secure your vehicle with winter tyres during the cold season. Winter tyres can help provide traction when there is snow on the roads and remaining more flexible at lower temperatures. Tyres tend to drop their pressure in cold and driving with tyres exhibiting low pressure could mean more wear and tear and consequently more hazards. Be on constant lookout and ensure that you duly fill your tyres at a petrol station air pump the moment you experience inflated tyres. Your antifreeze is extremely important to your car as it prevents your car engine from freezing during the winter season. One of the most effective winter car tips is to keep your antifreeze topped up and there are no leaks in the engine of your vehicle which could spill the antifreeze. If you have bought your car recently then you can be rest assured as most of the new cars can last up to 150000 miles or five years. Many experienced mechanics thus suggest that instead of only antifreeze, you fill the engine with a 50-50 antifreeze water ratio. Lighting is one of the most problems of winter driving, especially when you are driving back home at the end of the day. We suggest winter car tips to ensure that all the lights of your car are illuminated appropriately. When you begin driving at the start of the day, ensure that you clean your headlights off the snow. Fix all the lights and ensure that the fog lights of your car are functioning appropriately. One of the excellent winter car tips is to clean the headlamps with car wax, allow it to dry and buff it off. Winter season calls for foggy days and nights which make visibility low and driving extremely dangerous. The windscreen wipers should be changed every year and make sure that you do this just before the winters approach. Also one of the major winter car tips is to keep a tab of the wiper fluid so that you can easily wipe frost and snow off your windscreen. In order to maximize your vehicle’s winter readiness, we give you essential winter car tips to keep a survival kit in your car to get you through any sudden hazards caused in the middle of the road. Ensure that your survival kit contains a flash light, jumper cables, a first aid kit, a blanket and a mobile phone charger which works with the cigarette lighter of your vehicle. If you happen to reside in extreme cold climates, you need to keep a shovel and a de icer spray so that you can open the engine and the bonnet in case they are shut in the cold. During the winter months, it is imperative to always keep the fuel tank of your car full. If you are suddenly stranded in the middle of the road, the least you can do is keep yourself warm by switching on the engine and turning the heater on. Now that you know how to care for your car during the winter months, here are a few handy winter car tips for you to keep in mind when you drive in the colder months. Get your car serviced before the start of the winter months. If your vehicle is a real wheel drive, you can put a couple of sand bags behind the rear axle to add some weight which will increase the traction of the rear wheels of your car. Understand your car and learn how it is equipped to function in the snow. Check if your vehicle in equipped with anti lock brakes, stability and action control. You also need to know if you have rear, front, full time or part time four wheel drive. Also ensure that the defroster of your car’s rear window works. Drive your car cautiously and slowly on snow. Accelerate and brake gently and take turns with ease. Anticipate stops and turns appropriately and avoid tailgating altogether. If you do have much driving experience on snow, it is advisable that you get some practice on parking lots before taking on the steering wheels. Keep your car cleaned at all times. Polish the dashboard, clear out litter, clean the windows and wipe the door sills clean and do not allow grime and wintry muck to build. If you are considering purchasing a new car, an all wheel drive can be quite a good option although a front wheel drive will give you a better fuel economy. If the above winter car tips have already tempted you to keep your vehicle at home, remember that an unused car can have worse effects. Take it out at least once a week which will ensure that you are not left with seized brakes and a flat battery during emergency.